General Assembly is a New York -based global network of campuses for individuals seeking opportunity and education in technology, business, and design. It offers 12 weeks Ruby on Rails programming bootcamp in Boston, London, Los Angeles, New York, San Francisco, Sydney, Washington DC and Hong Kong. Learn the skills of an entry-level web developer, then learn how to put them to work. 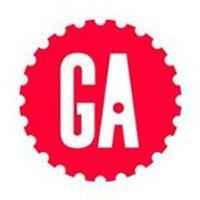 General Assembly has a unique opt-in 3-month Apprenticeship Program with GA Hiring Partners designed to give students real-world experience after the immersive program ends. In addition to this opportunity, we’ll do everything we can to help you find a job and provide a great deal of job preparation programming including technical interview prep, resume reviews, networking events, career panels, etc. so that you’re able to meet employers throughout the course. We also host a hiring day after the end of the course so you can meet employers. We are not a placement agency however and look for motivated students who will get organized in their job search and take ownership of their future.